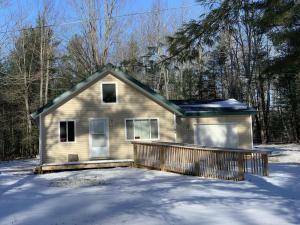 AFFORDABLE 3 bedroom home with many updates and open floor plan on a deep wooded lot. Newer siding and windows, wood laminate floors, new cabinetry in kitchen. Main floor laundry, newer Natural Gas F/A furnace. Some finishing work on 2nd floor to be done. TLC needed.